We all know that there are wind farms are scattered around New Zealand – but where exactly are they, and who owns them? 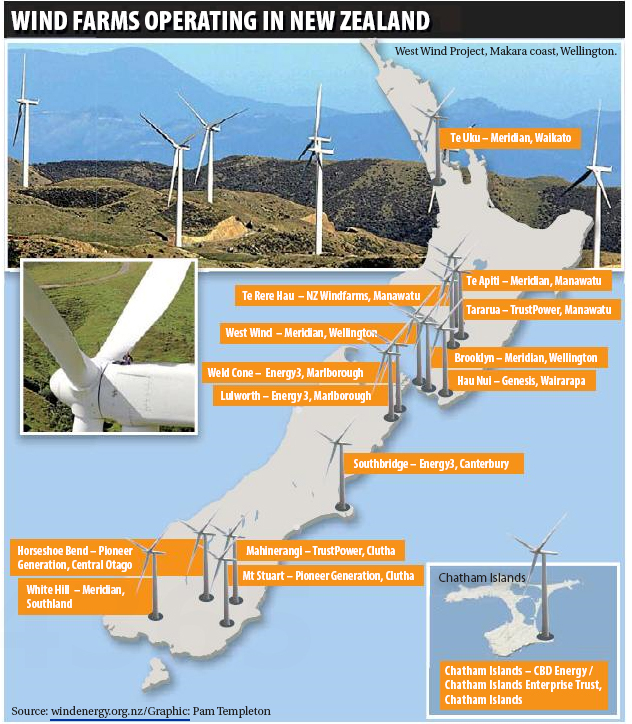 The infographic below neatly displays the location and ownership of New Zealand’s wind farms. The map was published as part of an article on the economics of wind farms, written by Rob Stock for the Sunday Star Times.